A collection of book reviews, written by a small group of literature lovers, of all the books we consider noteworthy. Welcome back to all and new readers alike! Today we are publishing the 48th issue of Gliding Over the World of Literature, and though we already have many topics covered behind us, there are still countless more to come. Today, we will open things with a look at a Samuel Beckett story that will be published over 80 years after being rejected. After that, we’ll check out some of the top literary cities to visit in the United States. To conclude, we will take a glimpse at a new initiative designed to promote children’s love towards literature and their accessibility to books. Though it seems as if the subject of the Lincoln presidency has been covered in all of its aspects from A to Z, there are still some out there who are trying to find new perspectives to give on this extraordinary journey through life. 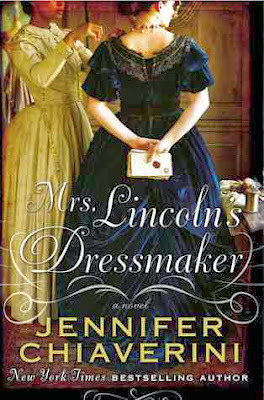 In Mrs. Lincoln’s Dressmaker Jennifer Chiaverini attempts to do just that by presenting us the point of view entertained by Elizabeth Keckley, a former slave who was a seamstress in the White House. After gaining her freedom, Keckley formed a rather interesting and lifelong bond with Lincoln’s wife, becoming the First Lady’s trusted confidant in the process. 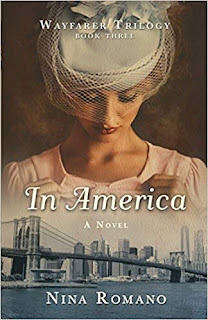 This is the story of the Lincoln presidency as told through the eyes of Keckley, and touches upon the events which took place later in her life. Though the occupying Nazi force during the Second World War was indeed overwhelming for many countries, there are still countless people who risked and gave it all they had to resist the invading force. 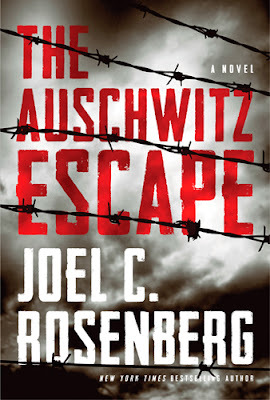 The Auschwitz Escape by Joel Rosenberg presents us the story of Jacob Weisz, a man involved in the German resistance. Though Weisz is indeed German himself, he sees what scourge the invading Nazi force truly is, and decides that it is his duty to preserve the Fatherland he knows and fight back against this oppression. Shortly after joining the underground resistance, Jacob and his friend find themselves in the middle of a raid, and then packed off on a cramped train to Auschwitz, the most infamous of death camps. In it, they must gather whatever strength and faith they have left, escape and tell the world about all the atrocities they are witnessing within. Though religion can certainly instruct people to live on a righteous path filled with love and kindheartedness, when taken too far it can very well lead to tragedy. 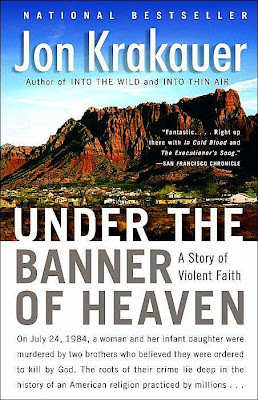 In Under the Banner of Heaven Jon Krakauer focuses on the religious communities in America isolated from the rest of the world, mostly Mormon fundamentalists. The establishments Krakauer examined are radical and in defiance against civil authorities and believe they only ought to answer the word of God. More precisely though, Krakauer focuses on the study of the Lafferty brothers, who killed an innocent woman and her child after having allegedly received commandments from God to do so. Drawing from his study of this case, Krakauer elaborates his many ideas on these communities and touches on various heavy topics, such as polygamy, religious delusion, unshakeable faith, and how they can lead to brutality and violence. 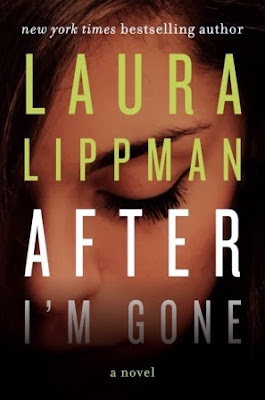 After I’m Gone by Laura Lippman tells of a rather long and convoluted affair spanning over twenty-six years and revolving around the mysterious disappearance of one man and the women he left behind. To make any kind of sense of this, we have to go back to 1959, as Bernadette Gottschalk makes the acquaintance of Felix Brewer. Thanks to the latter’s less-than-legal business, the couple was able to live in comfort alongside their three little girls. However, in 1976 Felix makes a very sudden disappearance as he faces the possibility of being convicted. Ten years later, Felix’s known mistress Julie disappears just like her lover, and the mystery seems to be solved. However, her remains are soon find, and the police are perplexed beyond their abilities. Welcome back, fellow readers, to Gliding Over the World of Literature; I am happy you could all join us for the release of our 47th issue. In it, we are going to start things off by taking a look at a curiously-expensive book about Jewish gangsters. After that, we will take a turn towards the dramatic and look over the nine most spectacularly-failed marriages in literary history. Finally, we will end things with by sifting through some impressive works of art inspired by well-known classic works of writing. 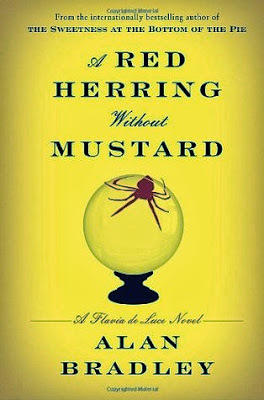 A Red Herring Without Mustard is yet another addition by Alan Bradley to the Flavia de Luce mystery series, and it follows in the same vein as the ones that came before it, following our beloved heroine as she tries to solve a murder that should be way above her head. This time around, the victim is none other than a gypsy woman, who only a few hours before her apparent death read Flavia’s fortune. What’s more, it is known that the gypsy woman was thought of by the locals as a criminal who had something to do with the abduction of a child many years ago. In addition, Flavia is drawn into a mystery which may or may not be related, centered on the unnoticed theft and disappearance of antiques. Is this retribution, or is there something more sinister going on beneath the surface? With the exploration of Mars being closer to realization than most of us believed in our childhoods, interest in the red planet is once again starting to rise, and unsurprisingly, so is the number of novels in relation to it. 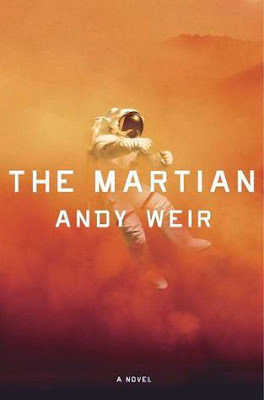 Amongst all of them though there is one surprising standout, The Martian by Andy Weir, and it is actually the author’s debut novel. The premise is rather simple: a group of astronauts arrive on Mars for the purposes of exploration, but very soon, all but one of them die because of the unexpectedly hostile environment. Being a lonely stranger in a hostile and strange land, Mark Watney, the last astronaut of Mars, has his work cut out for him: his lack of supplies, communicative abilities and distance from Earth dim his hopes of escape to what feels like pitch black. The year is 2108, and most of humanity living on Earth doesn’t have it easy; overpopulation led people down to a spiral of crime and poverty, with countless living in slums where the daily ration consists of two hundred calories of soy. 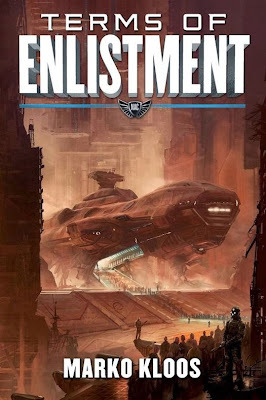 Andrew Grayson is sick and tired of living his life, and so he decides to take one of the two options available to him: join the military (the other, winning a lottery-ticket off-world was never going to happen anyways). Though the deal seems really sweet to Andrew at first, with there being real food available, slowly he discovers that there are many things he did not sign up for. In other words, the tough life he led on Earth starts to feel like some kind of fairy tale in comparison to the terrible dangers lurking in the vast infinity that is space. Rebecca Winter was once a phenomenal photographer (by all rights, she still is) and took her professional world by storm, to the point where many heralded her as their heroine. However, all things must come to an end at some point, and Rebecca’s career was no exception to the rule. Being on her professional downfall, Rebecca feels rather overwhelmed by the world around her and decides to escape from the tedious prison she has been living in… in favor of going in the middle of nowhere. Not really knowing what to expect or what to do in her search for herself, Rebecca is content with following her instincts, and quite soon they lead her to an interesting character: Jim Bates, professional roofer extraordinaire. Greetings to everyone and welcome back for yet another issue of Gliding Over the World of Literature, with this being the 46th issue already. As you can surely guess, I've had no problem finding more news to satiate your ever-growing desire for knowledge, and today’s excursion will begin with a look at a very charitable donation made by James Patterson. Following that, we will take a moment to be introduced to a very interesting kind of art, one that will bring alive a soldier’s diary in view of the centenary of the First World War. Finally, we will finish things off with a rather insightful interview conducted with renowned author Haruki Murakami. We are used to sports players being on the receiving end of untold amounts of fame and riches for their ability to play their game and entertain the crowd. However, it is far less common for animals to be awarded the same honor, but that didn’t stop the entire nation from falling in love Seabiscuit, the racing horse whose life is the quintessential underdog story. 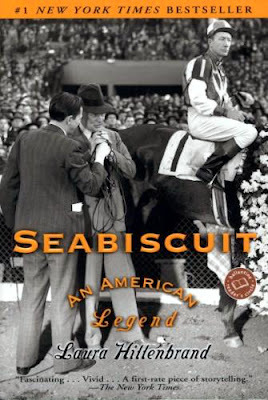 In Seabiscuit, Laura Hillenbrand chronicles the fate of the racing horse from beginning to end, as well as the lives of the men who stuck together through thick and thin and helped to make a legend from the most unlikely underdog possible. The Southwest of the United States has always been a rather interesting place, one where death and beauty have seeped into the soil itself and majestic landscapes hide the scars of countless wars and battles. Though the Wild West isn’t exactly alive anymore, there are still many stories to be told in it, whether real or fictional. 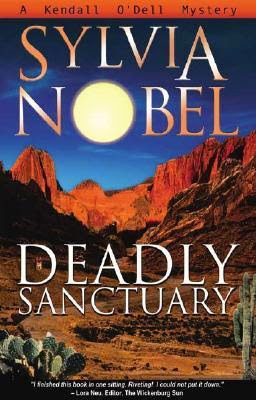 Deadly Sanctuary by Sylvia Nobel (and illustrated by Christy Moeller) takes place in Arizona, and is the first book to follow the exploits of Kendall O’Dell, a young and spirited journalist who recently took a job with a failing newspaper. Contrary to her expectations though, this turns out to be the roughest turn she ever took as she stumbles upon what seems like a morbid conspiracy, surrounding the death of two teenage girls. The quest for truth will be far from easy, especially considering the locals don’t take too kindly to a young lady from the big city snooping in their affairs. Freedom of expression is perhaps one of the most important birth-given rights we humans have, or unfortunately in some cases, ought to have. Many have tried to kill the echo of The People’s voice, and in the end, they have all failed: the right to express one’s thoughts triumphs over oppression, even if later rather than sooner. In the 45th Issue of Gliding Over the World of Literature we honor Banned Books Week, and it is what we are going to discuss. We’ll start by checking out how the event is celebrated in Reno, Nevada, look at 10 books that still give censors trouble, and finish it off with a glimpse into some of the most surprisingly-banned books in the United States. Most of the day is spent by us in what some like to refer to as “robot mode”, in the sense that we are not truly awake and simply go through each action instinctively, without thinking about it. When we do start to think about what we do, who we are and what we want to achieve, more often than not all the reflections lead to one question: how can I navigate life with success? In other words, what we are looking for is the power to steer our fate in the direction we want to… however, as you can guess, if such knowledge exists in the first place it certainly isn’t easy to obtain. Where would you even start your quest for such a power anyways? 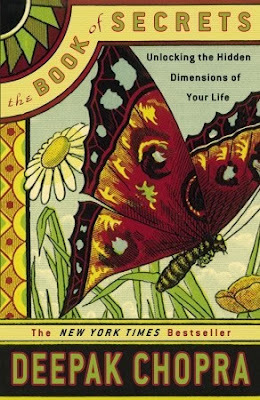 Well, there probably is an infinite number of such places, but one of the better ones, in my opinion, is The Book of Secrets by Deepak Chopra. 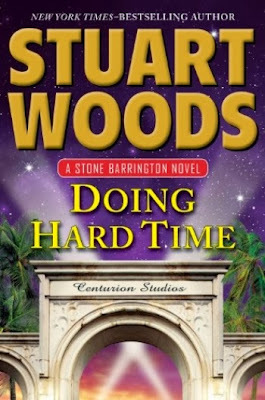 With Doing Hard Time Stuart Woods returns to us once again with a short Stone Barrington story, and to be frank, due to its length I can only very tentatively refer to it as a novel. In any case, we are following Stone Barrington once again, this time as he tries to catch a bit of a vacation from the rat race his life has turned to while in New York City. Of course, in such stories vacations never pan out as expected, and such is the case here as an old and supposedly resolved case resurfaces with many questions needing to be answered. Somewhat tentatively, Barrington gets embroiled in the whole affair, and learns that things aren’t as simple as they appear to be as there are many puppeteers sitting behind the scenes and pulling the strings of common men. To overcome this kind of enemy, Barrington needs to make a friend of his own, one who can glide the shadows above the law and below suspicion. 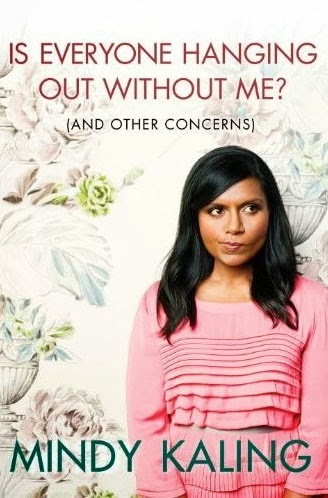 Most of you probably know Mindy Kaling from her role on the hit sitcom, The Office, and from what I gathered based on my viewings of it, she played the kind of character you either loved or hated. Personally, I couldn’t stand every moment she spent on screen, and as a result I was extremely skeptical about purchasing her book, Is Everyone Hanging Out Without Me?… I only did so because of the number of good reviews and a personal recommendation which came from a friend. I have to say, even though the book does leave to be desired in a couple of areas (more on that later), on the whole it was an experience which went above and beyond my expectations, providing me with a good deal of entertainment and even a few insights into the nature of our relationships between each other and in regards to living life itself. Good day to you my fellow readers, and welcome back to our domain for the 44th issue of Gliding Over the World of Literature. 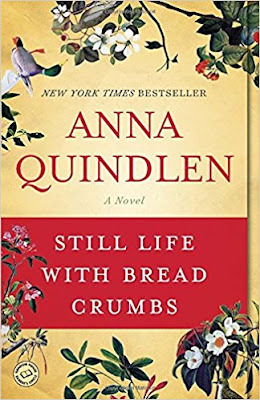 As you can certainly guess the world of books is infinitely far away from being dried up of any news or stories to tell, and so we will begin today’s journey with a comparison between two queens of literature, Jane Austen and Emily Bronte. Following that, we will explore some notable relationships found in literature, particularly ones deemed to be doomed. Finally, we will end things with a list of twenty-one last lines from books which, hopefully, will make you want to read the whole books themselves. It is no secret that on this planet, the majority of people follow some kind of religion out of faith rather than proof. The many spiritual realities people have come to believe do not seem to require any kind of concrete evidence or proof, at least in the traditional sense. The whole thing relies on faith, and there are many people out there, more logically-oriented ones, who discard any beliefs which cannot be demonstrated in the physical world. 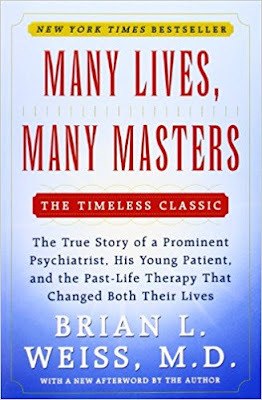 Brian L. Weiss is a rather renowned American psychiatrist who decided to invest himself in the question of the afterlife and reincarnation and explore that world from a scientific perspective. In Many Lives, Many Masters, Weiss details the events which led him to take such a direction in his personal and professional lives, describing in particular his therapy session with a patient whose past life recollections shattered any doubt Weiss had about the issue.